Matcha powder is made from green tea leaves, but it can do much more than become a delicious tea. Here are some other ways to take advantage of the health benefits and versatility of this tasty green powder. 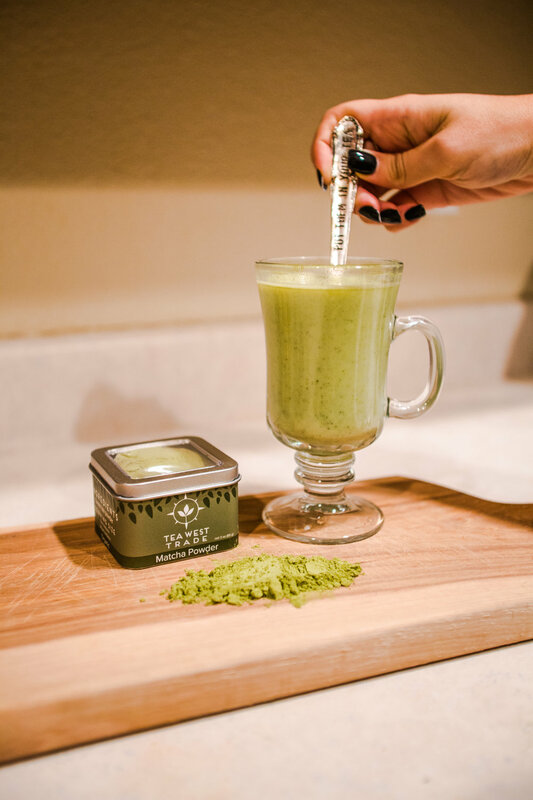 Did you know that even though matcha is made from green tea, because the process involves grounding whole leaves of the tea, matcha has a higher amount of caffeine than bagged green tea, and half as much as a cup of black coffee? Not only this, but those who enjoy matcha also notice a more calm and longer lasting focus for the day when compared to coffee. 4. Add the rest of the milk and enjoy! 3. Once well mixed, add ice then milk of your choice and stir! Adding matcha to smoothies and protein shakes adds caffeine and additional antioxidants, vitamins and minerals! This powder could really be added to any mixture you could want but below we will list the ingredients of a smoothie owner Jill Simmons enjoys in the mornings! One common theme is to always make sure you whisk the powder with some hot water before adding it to any smoothie or shake. Mouth watering yet? Here's a link to head to the shop and get some matcha now! 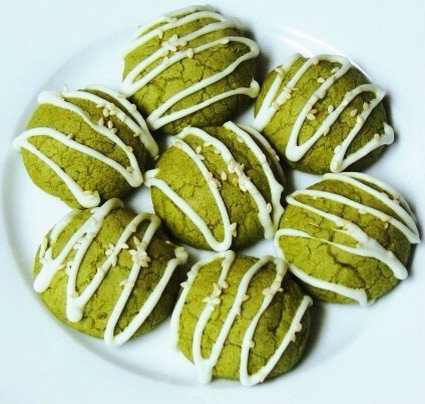 There are tons of recipes you can use to make delicious matcha treats. From matcha macaroons, cookies, cakes, cheesecake, ice cream, mochi and much more! We linked two recipes below that we think would peak our tea lovers' interests! Give them a whirl and be sure to take a photo and show us your masterpiece! Matcha on it's own already has some amazing health benefits, but when mixed with the power of ginger, this drink is the perfect pick me up! This mixture will wake you up, boost your immune system to fight away any infection or cold your body may be dealing with, speed up your metabolism, and help with inflammation! 4. Pour the rest of the ginger tea in and garnish with lemon and/or honey. These are just a few of the tons of unique ways to take advantage of matcha powder. Make sure to take photos of any of the recipes you try and tag us on Facebook and Instagram for a share!